The BackBox team has released the last of 4 minor releases, BackBox Linux 4.6 with Kernel 4.2 and other fixing some bugs along with updating base system and tools. Ubuntu based BackBox Linux distribution is maintained by Raffaele Forte who is the founder and main developer and is designed for penetration testing and security assessment providing a network and systems analysis toolkit. BackBox Linux includes some of the most commonly used security and analysis tool and is built on Ubuntu codebase. 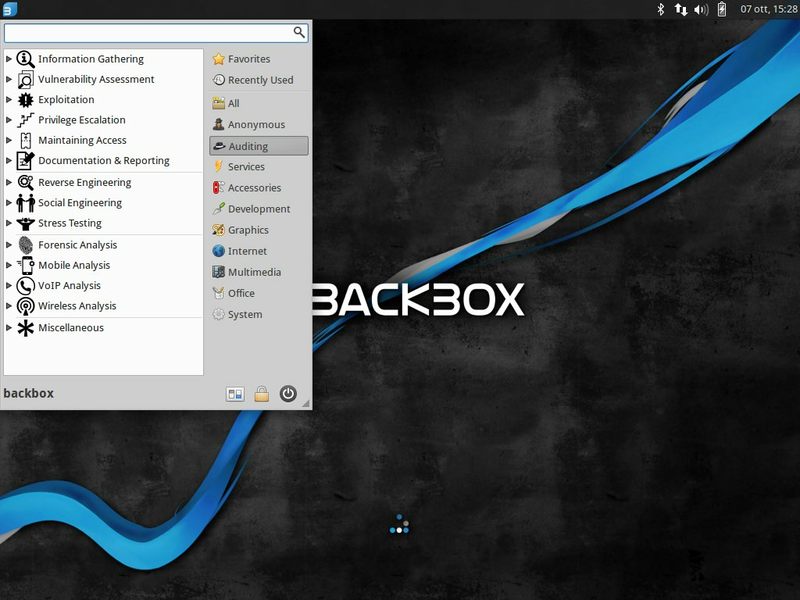 The main usage of BackBox Linux includes (but is not limited to) web application analysis, computer forensic analysis, automotive and exploitation. The BackBox 4.6 includes an updated Linux Kernel 4.2 , updated Ruby 2.2 and hacking tools updation like beef, dirsearch, metasploit, volatility, wpscan, openvas, setoolkit, yara etc. Termed to be most hacker friendly Linux distribution, it contains in-built softwares like WPScan for WordPress vulnerability scanner, exHexEditor disk editor for huge files, SE Toolkit for doing phishing attacks, YARA pattern matching swiss knife for malware researchers and others. You can grab an ISO 32/64 bit of BackBox from the official website. Also, if you are already using one of the releases of BlackBox Linux, follow these steps to upgrade to BackBox 4.6. Running on Xfce desktop, BackBox provides an alternative and highly customizable environment required for ethical hacking and security testing. It maintains it's own repository core called Launchpad, that is constantly updated to the latest stable version of the most known and used ethical hacking tools. Have you used BackBox? How's the experience!